As Artificial Intelligence use-cases pick up steam within enterprises, the most commonly adopted use-case seems to be chatbots. The bot market is booming with a Forrester study predicting 85% customer service interactions to be managed by chatbots. 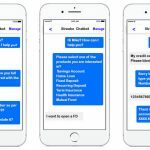 Widespread use of messaging apps and rising maturity of machine learning has led to rapid roll out of chatbots. An Economic Times study has found out that 75% of 200+ business executives said artificial intelligence would be actively implemented in their organizations within the next three years. However, enterprises haven’t achieved the promised RoI through these bot implementations. Deeper analysis reveals that current chatbot pilot roll-outs are still on the singular data source structure. This singular data source crunches information fed by the Bot Trainer in real-time. In most cases, these are a series of documents stored in content repositories across the enterprise. The responses are limited, and most chat bots are reduced to just a fancier way to do “content search”. Hence, we see low adoption of recently rolled out chatbot projects across enterprises. Enterprises that have taken an integrated approach to chatbot implementation, by exposing multiple disparate legacy systems containing structured and unstructured data to the chatbot clients, seem to be having more traction with their bot roll-outs. 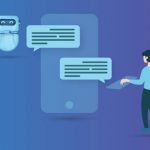 The customer sees more value when chatbots can interact with enterprise backends to aid in executing tasks like paying bills, updating CRMs or filling up timesheets. A closer look reveals the enormous cost of developing these “integrated solutions” using a manual coding approach. Integrating chatbot clients with enterprise backend systems is an expensive process due to the huge IT dependency. Further, the IT department and Line of Business are now left to manage another channel, having to keep it relevant to the business. Implementation costs are higher, bot training takes time and hence the timeline on getting a return on the bot implementation gets extended. This creates a need for a tooling to automate creation of a chatbot interface across channels with easy integration to enterprise backends and easy management capabilities for IT and Line of Business. For such an automation, there must be a logical separation between backends, application layer and now a presentation or interface layer. Further, there is a clear value for businesses to automate UI creation for all devices including chatbots, as it is not their core competency. This tool should allow business users to add application logic, yet not have to worry about the channel it works on. A UI automation tool will not only reduce the cost of chatbot roll-outs, but will also drive adoption for your chatbot project as you can now provide more meaningful services to your end user. End users can actually interact with enterprise legacy systems and perform self-service tasks more efficiently through the chatbot, rather than just using the chatbot as a “fancy search engine”. We all understand that there is glory at the end of a successful chatbot project rollout that delivers significant business value to your end user. The real question is – Can we allow Line of Business to take a more pro-active role in training and rolling out the chatbot platform including interaction with enterprise systems, yet allow the IT to centrally secure and govern it? 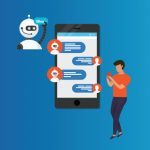 Is there a way to show more value to the end user through chatbots which interact with large number of disparate legacy systems spread across the enterprise? We believe that companies that will automate interactions and interfaces across channels will win the chatbot adoption race as they will be able to show more value to the business with a lower roll-out and maintenance cost. These companies will in turn stand to reap huge dividends from their AI technology investments.